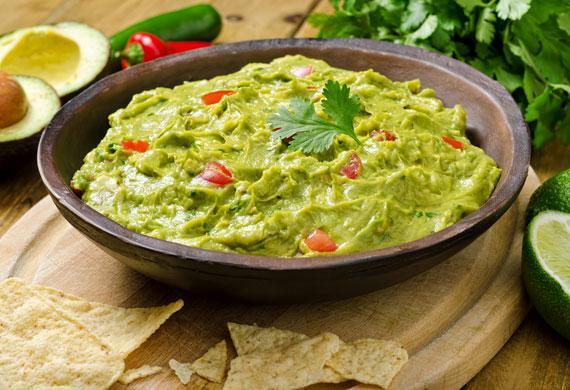 Fun sporting events like the Super Bowl inevitably bring parties with lots of delicious appetizers and meals. But when lots of yummy food is out on the table, this can be extremely tempting for our pets. We can barely control ourselves from taking another scoop of 7-layer dip. But there are ways you can make sure your pets are safe during the big game. 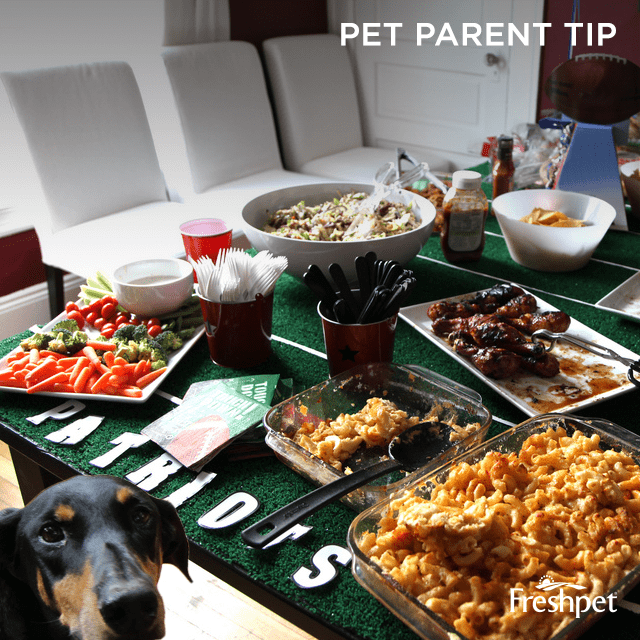 We found this round up of 5 popular Super Bowl party foods that are unsafe for pets from petMD to be helpful. Take advantage of these tips here: It's also your responsibility to make sure your guests know of any dangerous foods. Make sure to ask everyone not to feed your pets table food. A little never hurt anyone, but you can't be sure how much or how little your guests may be slipping your dog or cat. So just let them know as they make their way in. One easy way to avoid eager pets from stealing table food, is to make them something special of their own. Here are some fun recipes we put together with help from our friends at Barkpost. All of these recipes are healthy and 100% safe for our pets.